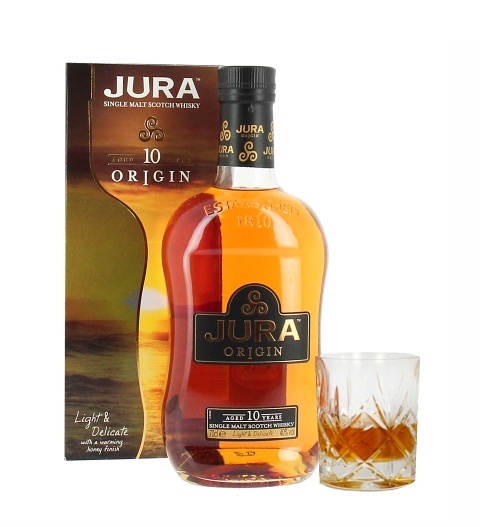 For those who adore a very special whisky, the Jura single malt is one of Scotland's proudest and most sophisticated whisky's with a balance of special tones admired by whiskey connoisseurs around the world. The Jura lives up to expectations bringing a delectable aroma rounded with a satisfying finish. That's why here at Prestige Hampers we are very fond to introduce the Jura to our line of exemplary gifts. This 10-year-old single malt 70cl 40% is available for UK next day delivery.